Lhagyari Namgyal Dolkar, the youngest member of the India-based Tibetan parliament-in-exile, has never seen Tibet, where her father spent over two decades in prison for demanding freedom for the Tibetan people from the Chinese rule. Based in McLeodganj, a suburb of Dharamshala in the Himachal Pradesh state’s Kangra district and the exiled home of the Dalai Lama, she leads the Guchusum Movement of Tibet, which serves former political prisoners and their exiled family members. Though she carries an Indian passport, Tibet is always on her mind. And she has a dream to fulfill — a dream shared by the majority of the more than 150,000 Tibetan refugees living in India. 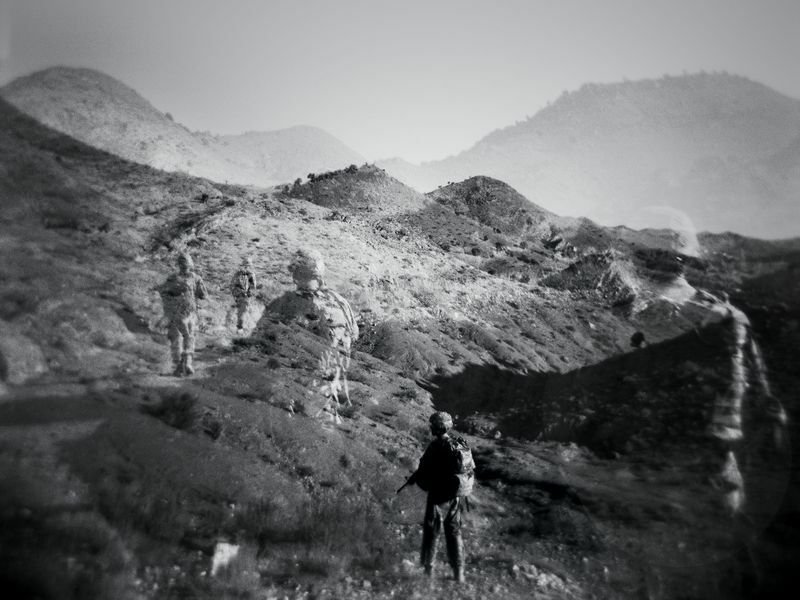 Late in 2001, as Osama bin Laden and his harried entourage slipped into Pakistan over a mountain pass near Tora Bora, Afghanistan, a contingent of U.S. Marines seized the long-abandoned American embassy in Kabul, restoring the compound to American control. The Taliban, it seemed, had been routed. Al Qaeda was on the run. A new era was unfolding in real time, organized by an American military that cast itself as remade after the sorrows of Vietnam. The reclaimed embassy, small and quaint, was an accidental time capsule. Like an unexpected archaeological find, it remained stocked with artifacts from a previous time—aged booze and magazines and paper calendars from 1989, the year its diplomatic staff had abruptly withdrawn from Afghanistan as the country sank into civil war. With the return of the Americans, the place was being reordered by the hour. A guard post appeared at the front gate. Here Marines stood beside a curiously modern and geometrically simple bunker, a defensive position made of prefabricated boxes of heavy wire with synthetic mesh liners, each filled with gravel, sand or dirt. The boxes, arranged as a fighting position and blast wall, were neat and stackable, a labor-saving update on the sandbag. Although the Taliban has welcomed the prospect of a U.S. withdrawal from Afghanistan, the group will have to decide whether to press for a greater advantage after the pullout or pursue a deal out of fear of a growing Islamic State. Pakistan, Iran, China and Russia might not like having U.S. troops on their doorstep, but they worry about the implications of any rapid withdrawal of U.S. forces. Because no neighboring country can assume the United States' mantle in Afghanistan, each will seek to guarantee only a modicum of stability in their areas of interest in the country. U.S. President Donald Trump's announcement late last month about the imminent withdrawal of U.S. forces from Syria grabbed all the headlines, but it wasn't his only notice about a coming pullout. According to reports, Trump has also ordered the withdrawal of half of the 14,000 American forces in Afghanistan. Although the White House subsequently contradicted the reports on Dec. 28, Trump has made no secret of his distaste for the long U.S. involvement in the country. What's more, Washington's current efforts to reach a peace deal with the Taliban highlight its increasing impatience with the enduring war in Afghanistan and its desire to leave the conflict. Mr. Li, who still has traces of youthful acne on his face, takes his job seriously. “It helps cleanse the online environment,” he said. A Chinese defense industrial giant recently showed off a Chinese version of the US military's GBU-43/B Massive Ordnance Air Blast (MOAB), which is more commonly called the "Mother of All Bombs." The unnamed weapon developed by China North Industries Group Corporation Limited is said to be China's largest non-nuclear weapon. Much smaller and lighter than the US MOAB, which is delivered by C-130 Hercules transport aircraft, China's weapon is dropped by the H-6K bombers. 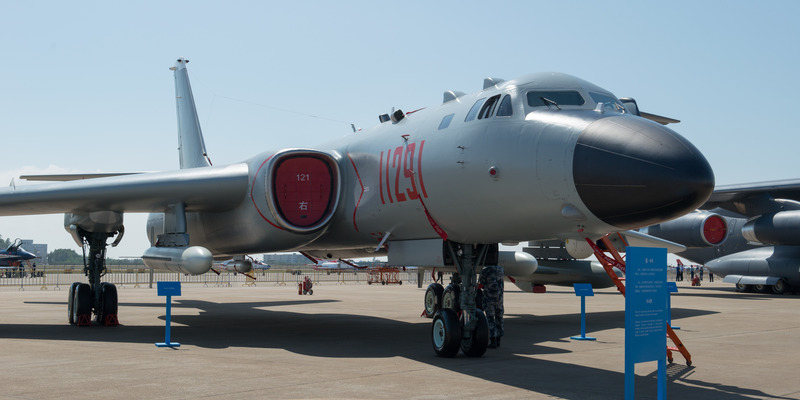 China's got a new bomb, and it's a really big one.A major Chinese defense industry corporation has, according to Chinese media, developed a deadly new weapon for China's bombers. Referred to it as the "Chinese version of the 'Mother of All Bombs,'" this massive aerial bomb is reportedly China's largest non-nuclear bomb, the Global Times explained Thursday, citing a report from the state-run Xinhua News Agency. China's pledges to improve the Philippines' infrastructure on a massive scale have not come to fruition, but the investment might not come unless Manila rectifies some of its internal issues. Despite the comparatively low levels of investment from Beijing so far, Chinese entities are likely to be more amenable to funding projects in the Philippines' distant provinces than their Western counterparts. As the Philippines deals with internal issues, the countries' mutual political will means Manila and Beijing will likely pursue closer infrastructure cooperation during the second half of President Rodrigo Duterte's term. Since 2016, conciliation with China has been the name of the game for Philippine foreign policy planners. Under President Rodrigo Duterte, Manila has de-emphasized thorny South China Sea disputes in favor of pursuing cooperation with China in the hopes of freeing up resources to quell internal instability while attracting Chinese investment to bolster the Philippine economy and even out the island country's deep regional development disparities. With trade talks between the United States and China slated for January, Washington's longstanding hope that Beijing's growing integration into the world economy would temper its illiberalism at home and produce a “responsible stakeholder” abroad has faltered. While the two countries shared until recently an encouraging, if abstract, commitment to achieving a “new model of great-power relations,” they now make little effort to conceal their growing distrust of one another. 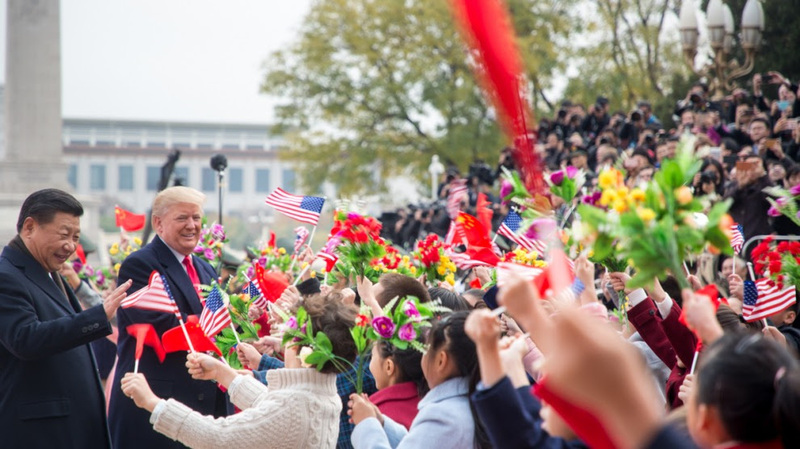 There is a growing consensus within the U.S. foreign policy establishment that the United States is engaged in a long-term, intensifying strategic competition with China. Less clear, though, is what ultimate relationship the United States should seek and can plausibly achieve with its resurgent competitor. One reason for that uncertainty is the difficulty of determining where to place China along the ally-to-adversary continuum. Technology cold war. Decoupling. Weaponized interdependence. Whatever you call it, the U.S.-China science and technology relationship is being violently remade. While a tightly linked technology system benefited the United States and China over the last two decades, there is now widespread concern on both sides of the Pacific that the economic and security risks outweigh the gains. President Xi Jinping has embraced and accelerated policies designed to increase the innovativeness of the Chinese economy and reduce dependence on foreign suppliers. The Trump administration has put Chinese technologies policies front and center as a danger to U.S.economic and national security. The eventual outcome of this contest may be two distinct technology systems, with other countries forced to choose if they are going to plug into American or Chinese technology platforms and standards. This report seeks to better understand why the Islamic State of Iraq and the Levant (ISIL) has been more successful than its predecessor organization, al Qaeda, in recruiting individuals within the United States. The authors consider whether the demographic profile of individuals drawn to foreign terrorist organizations (FTOs) has changed over time or whether new groups are more successful appealing to the same segment of the population. They take an expansive approach, analyzing all known cases of U.S. citizens or persons within the United States connected to a FTO with Islamist orientation since September 11, 2001, and use consistent criteria for inclusion and exclusion to identify individuals meeting this definition, and coding multiple demographic variables. In the matter of war, the American language creates its own fog. We speak not only of wars, but also of armed conflicts, military engagements, combat operations, expeditions, policing actions, raids, airstrikes and shows of force. And even with so many labels, we use the term “war” pretty loosely. Does the Honey War really count? The 1836 Missouri-Iowa border dispute—named for the chief on-the-ground casualty, three beehives—was settled at the Supreme Court. The Aroostook War? It was another 19th-century border dispute, in Maine, which the United States and England settled bloodlessly. The Global War on Terrorism, declared in 2001, surely counts, but it has barreled onward through a fog of its own, a series of vagaries concerning territory, scale, foes and metrics for success. Exactly when the war in Afghanistan surpassed the Vietnam War as America’s longest overseas war is debated—the comparison depends on which benchmarks you use. Last September, however, the United States reached an indicator that clears away at least some of the confusion: The first cohort of Americans who were born after the terrorist attacks of September 11, 2001, became old enough to enlist in the war that followed. Whatever else it is, the Global War on Terrorism is now a second-generation war. Assembling and reading a paper inventory chart. Knowing where in the warehouse goods can be found. Finding your bearings with the help of the sun and the stars. None of these skills are that hard—and a generation ago most people possessed one or more of them. Society’s essential services—provision of food and energy, say, or transport or banking—functioned pretty smoothly, albeit slowly. Their replacement by digital means has made things faster—but also critically vulnerable. Modern societies need human backup. My assigned task here is to discuss challenges ahead in the nuclear environment. There are, of course, a variety of interrelated challenges in the international environment that cross multiple domains, but my task here is to discuss nuclear challenges. That will be my focus. There are two distinct but related nuclear challenges: 1) the challenge of external nuclear developments among potential adversaries; and, 2) the internal challenge of establishing an enduring, effective Western response to those foreign developments. Wherever the Trump administration finally lands by the time it submits its proposed defense budget to Capitol Hill in early 2020, the reality is that Congress has a vote, and indeed the final word. On the one hand, there is a strong case for stable, predictable, modest growth in defense spending given the challenging security situation and the increased efficiency that comes with predictable budgets as opposed to cycles of feast and famine. On the other hand, a newly Democratic House of Representatives, Tea Party elements in the GOP, and the nation’s perilous fiscal situation reinforce the case for frugality and hard choices. And a defense budget of $700 billion for 2020 would still be much larger than the Cold War average or President Obama’s last budget of just over $600 billion. Are Russia and Ukraine Heading Toward a Showdown in the Sea of Azov? In our 2019 Annual Forecast, Stratfor noted that the Sea of Azov will be the site of heightened conflict between Ukraine and Russia this year. A standoff toward the end of 2018 and recent naval movements by Russia, Ukraine, and NATO countries point to the potential for a more serious confrontation in the coming months. On Jan. 1, the commander of Ukraine's navy, Adm. Ihor Voronchenko, issued a statement saying his force had made deployments to the Sea of Azov and increased the combat capabilities of its maritime, air and coastal units in response to Russian aggression in the area. This came after Russian Foreign Ministry spokeswoman Maria Zakharova warned on Dec. 26, 2018, that the West should refrain from supporting any new "provocations" by Ukraine in the sea after a confrontation between Ukrainian and Russian naval ships in the last months of 2018. In every corner of the world, change is visible. Governments, businesses, organizations and individuals are pushing for transformation, refusing to accept the status quo because they believe there is a better way that can benefit more people. Perhaps these tireless change agents can find inspiration in Albert Einstein, who said, “The world as we have created it is a process of our thinking. It cannot be changed without changing our thinking.” But growth rarely comes without pains: Over time, processes become institutionalized, traditions ingrained and corruption normalized, making real change that much harder to achieve. Nevertheless, change agents persist. From the expansion of women’s rights in Argentina and greater financial inclusion Brazil, to closing the digital divide in India and improving infrastructure in South Africa, re-visionaries are hard at work. In this special report, students from the Joseph H. Lauder Institute for Management & International Studiesoffer insights into the global struggle for change – whether it be how immigration is reshaping business and culture in Germany and Brazil, the ways in which old-world social connections have molded life in modern Russia, or how China is coping with socio-economic changes on its path to becoming a superpower. Trump Took on the Fed, but What Can He Do About Apple? What’s the best recipe for a market panic in the current environment? When one of the world’s biggest companies suddenly announces to a badly battered market already jittery over China that first-quarter revenue is expected to dive largely because of—you guessed it—China. That’s what happened on Thursday, when the Dow Jones Industrial Average dropped 660 points following a dire and unusual note from Apple CEO Tim Cook, who said revenue was expected to come in at least $5 billion lower than its earlier projection of $89 billion to $93 billion. Cook said the reasons for the shift in picture included a weakening economy in China and lower-than-expected iPhone revenue—“primarily in Greater China.” He also said that upgrades to new iPhone models in other countries were “not as strong as we thought they would be.” The Nasdaq stock exchange, which Apple is part of, dropped more than 200 points the same day. Europe’s increasingly contested environments have required increasingly complex electronic warfare planning tools. Vehicles, however, can’t house the power of command posts, so the Army is adapting an existing system for the tactical edge. 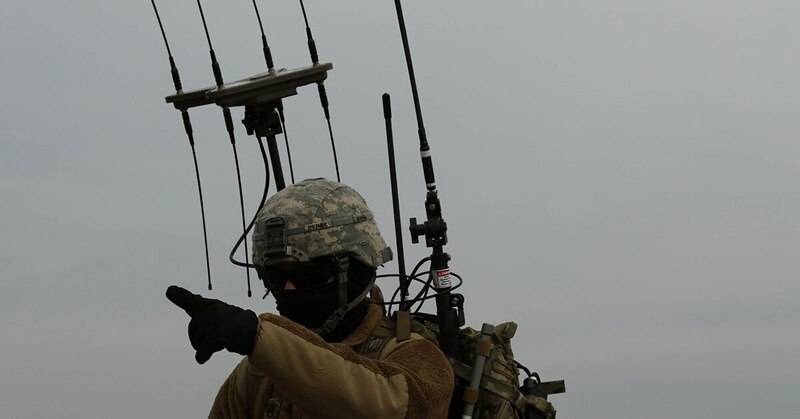 The Electronic Warfare Planning and Management Tool, or EWPMT, is a command-and-control planning capability that allows commanders and soldiers to visualize on a screen the effects of electronic warfare in the field. As part of efforts to provide soldiers additional capabilities for EWPMT ahead of the program’s scheduled add-ons — an effort dubbed Raven Claw — the Army received feedback that troops at the vehicle or platform level don’t need the full application required at command posts. This feedback coincided with other observations from the Raven Claw deployment, which officials said were mixed. Quantum computing is expected to make existing forms of cybersecurity obsolete, but the coming revolution has not jolted researchers and defense firms to fully invest in the technology, according to the intelligence community, experts and industry officials. 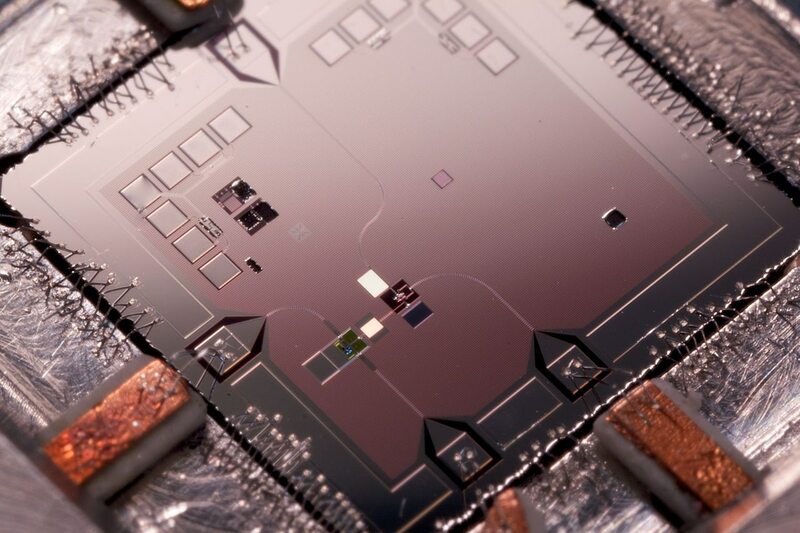 Quantum computing needs strong collaboration between theory and practice, said Christopher Monroe, professor of physics at the University of Maryland and the head of IonQ, a quantum computer manufacturer. “There is not so much a gap between the U.S. and China as there is between academic eggheads [who] are used to quantum and industry who build things,” said Monroe. “The more interesting development so far has not been from defense contractors, but companies like Google, Intel, Microsoft and IBM — the big computing behemoths,” Monroe said. For much of its short history, U.S. Cyber Command was thrust into operations without having finalized its organization and force. 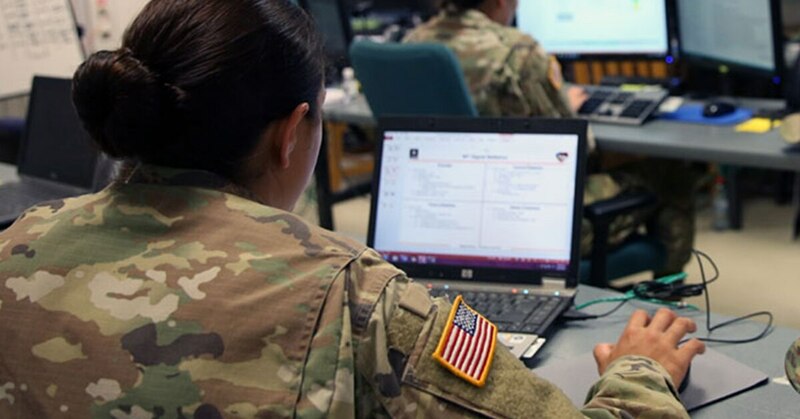 Now that the cyber mission force has been built, the command is beginning to work out strategic problems and how to employ its capabilities in an environment where operations can change at the millisecond level. “We just finished the build and are now thinking our way through how do you put steel on target in this space,” Lt. Gen. Vincent Stewart, deputy commander of U.S. Cyber Command, said during a Nov. 14 keynote presentation at the CyCon U.S. conference in Washington, D.C. Despite lessons being learned throughout the process of teams building, Cyber Command decided not to make any substantial changes to their construct until the force was assembled. With the landmark CSO-1 satellite launch December 19th and a new space strategy out soon, the French government is finally stepping up in space. A French-led, Europe-wide effort to modernize space capabilities had been announced in 2010, but it had been stalled for lack of urgency and funding. Now that’s changing. French space spending had already doubled from 300 million Euros in 2008 to 600 million in 2014. The 2019-2025 budget plan — 3.6 billion over seven years — averages over 500 Euros a year. All this spending has started to bear fruit, with the first CSO military reconnaissance satellite launching Dec. 19, three more intelligence satellite launches planned for 2020, and two telecommunications satellites planned for 2020-2022. 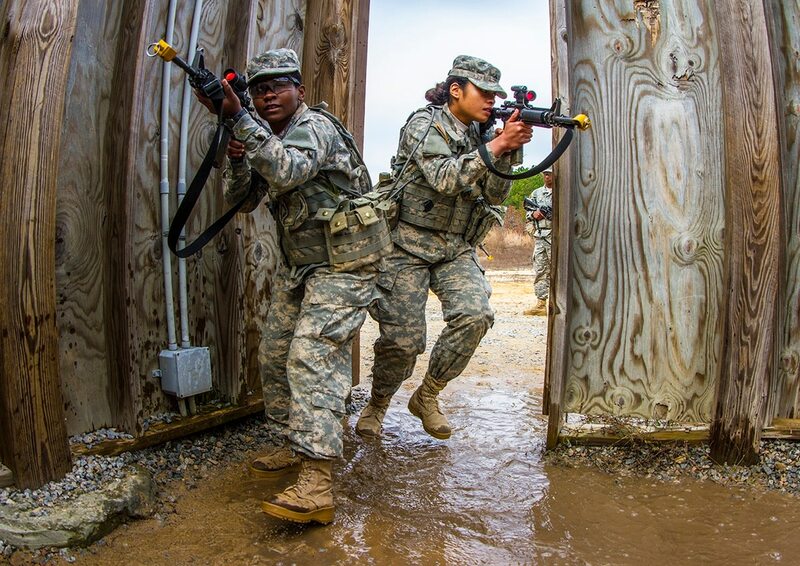 Army basic training got a major face lift in 2018. Early in the year, Fort Jackson, South Carolina’s basic training program of instruction was updated to encourage more fitness and discipline in new soldiers, while infantry one-station unit training at Fort Benning, Georgia, was extended from 14 to 22 weeks. Senior leaders have said that extension will be made permanent in 2019, along with extensions for OSUT for the other combat arms, such as armor and engineer. Also under consideration: changes to the length of basic combat training. If you’re looking forward to a good night’s rest, don’t even think about cracking open Cocktails from Hell, by military veteran and columnist Austin Bay. If you can get to sleep at all, it’s bound to give you nightmares. Bay’s latest book surveys five possible conflicts that might break out any day now. Spoiler alert: None of them end well for us. Some people believe that, if you don’t think about war, then war is unthinkable. Bay is not one of those people. The world presents “wicked problems” that “test human intellect and trounce human arrogance,” Bay writes. And sometimes, as in the fateful summer in 1914, leaders in their proud towers will misread those problems and plunge into the horror of big, bloody, intractable fights that kill millions and topple empires. History reminds us that sometimes wicked problems get completely out of hand. brings into focus who is fighting and the why, where, and what they’ve left behind. In “Military Intelligence,” Smithsonian reveals a new poll, conducted in partnership with Stars and Stripes, in which troops and veterans take aim at military policy and conditions in the armed services, including support of President Trump’s deployment of armed forces at the U.S. border with Mexico, approval of transgender people in the military and revealing stats about females experience with sexual discrimination while in the military. You can see the poll here. In “Name, Rank and Gender,” photographs by Jeff Sheng spotlight transgender service members and delve into how the service of transgender troops has become the military’s most controversial issue. You can read the entire piece here. For centuries immigrants who who served in the military could become American citizens. But are the women and men photographed in this article by Christie Hemm Klok among the last? 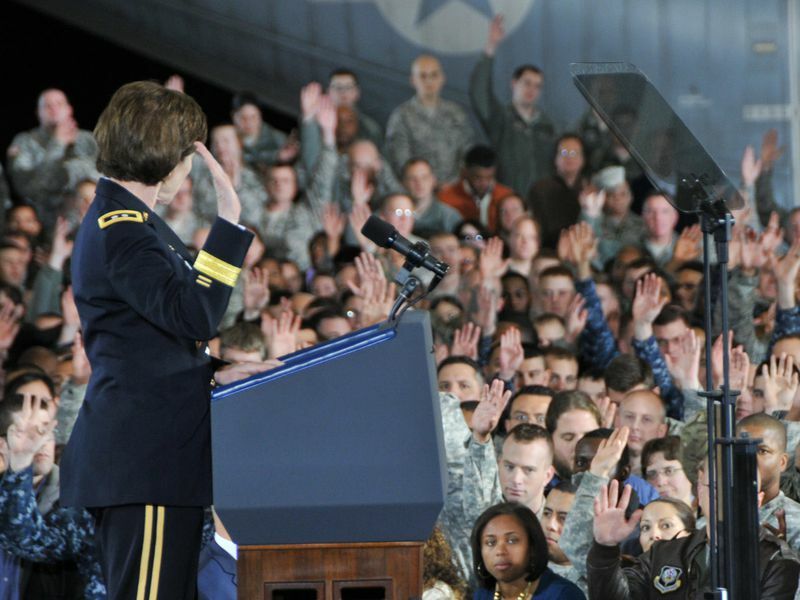 In “Fighting to Be American,” Robb Bradley explores the military’s imperiled path to citizenship. You can read the entire piece here. Seventeen years after the U.S.-led military invasions of Afghanistan and Iraq, more than 80 percent of 1,031 service members and veterans surveyed agreed with the statement that the occupations have “been going on too long.” As far as we know, this survey was the first one to pose that question to current and former service members. Their frustration is significant because they also voiced strong support for the war on terror generally, with 83 percent saying it should continue. On the home front, 65 percent of respondents backed the move by President Trump to deploy armed forces at the U.S. border with Mexico to prevent illegal immigration. At the same time, the great majority appeared to take a dim view of the administration’s proposal to deport noncitizen service members or their families. Wherever the Trump administration finally lands by the time it submits its proposed defense budget to Capitol Hill in early 2019, the reality is that Congress has a vote, and indeed the final word. On the one hand, there is a strong case for stable, predictable, modest growth in defense spending given the challenging security situation and the increased efficiency that comes with predictable budgets as opposed to cycles of feast and famine. On the other hand, a newly Democratic House of Representatives, Tea Party elements in the GOP, and the nation’s perilous fiscal situation reinforce the case for frugality and hard choices. And a defense budget of $700 billion for 2020 would still be much larger than the Cold War average or President Obama’s last budget of just over $600 billion.